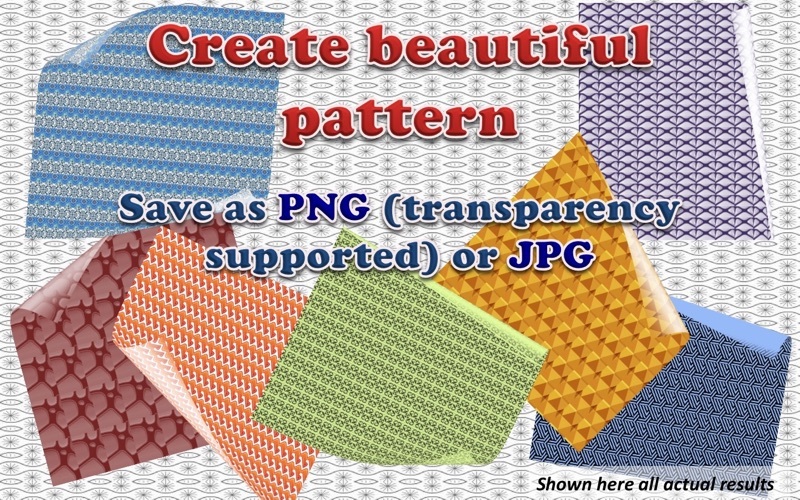 Create any pattern of your own - tiles, texture, skin, wallpaper, comic effect, website background and more. 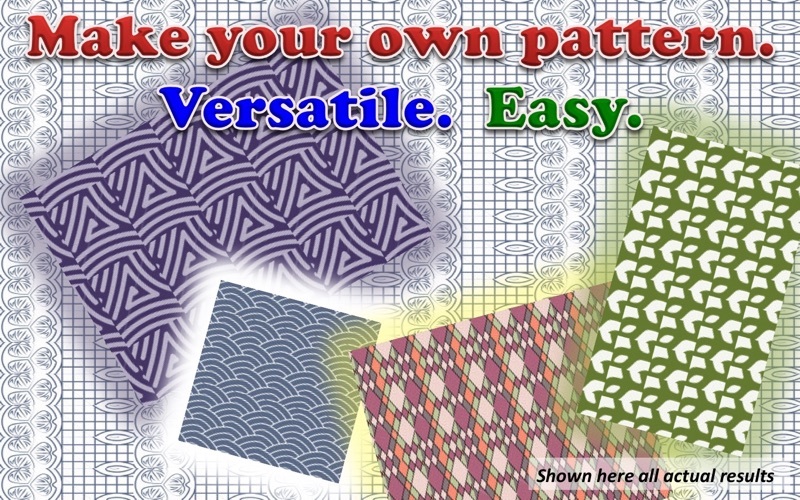 Change any artwork of pattern you found into different flavors and call them your own. User-friendly interface. 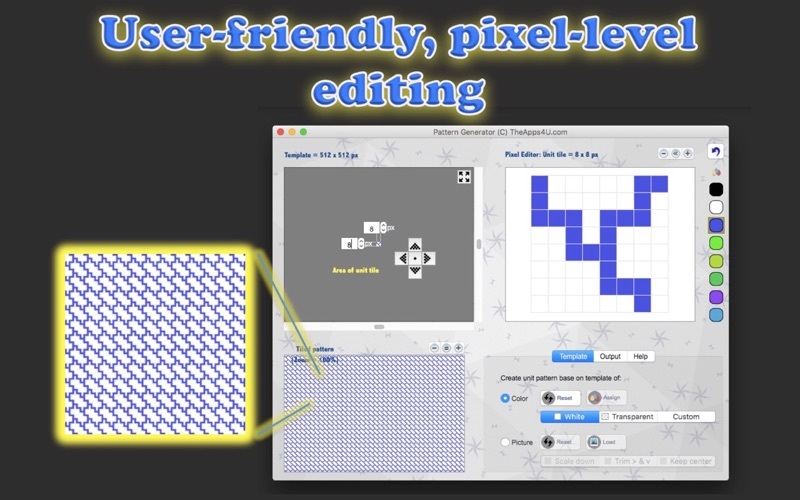 Pixel-level editing capability. Custom template. Instant results. Unlimited possibilities. 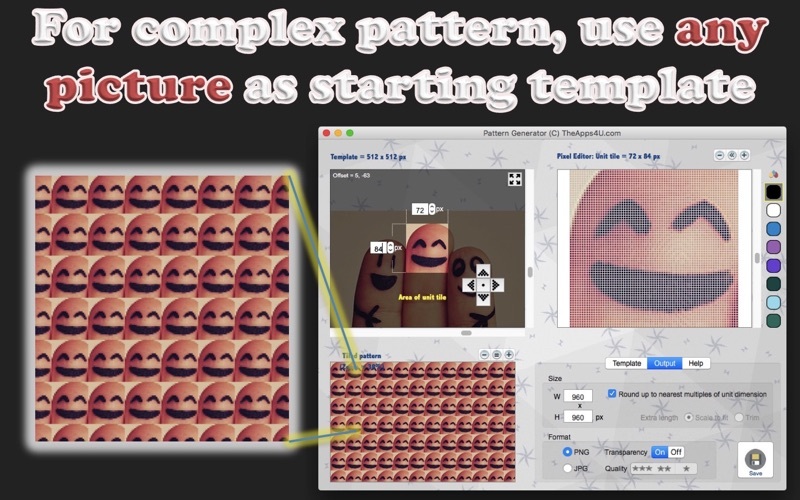 A powerful tool for graphic design! Visit TheApps4U.com to find out more about other app tools for graphic design.